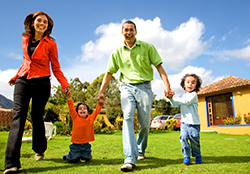 Zephyrhills Property Management, Zephyrhills Property Managers, Zephyrhills, FL Property Management Companies. There are no middle of the night calls for you when we handle your Zephyrhills property management needs. We can handle it all for you from routine repairs to regular maintenance through our Building Services Dispatcher who serves the greater Zephyrhills/Lakeland Area. We work aggressively to keep an eye on your bottom line while protecting you from the liability of improperly licensed or non-insured vendors.